Derrick Rose and his longtime girlfriend Meika Reese are expecting their first child. 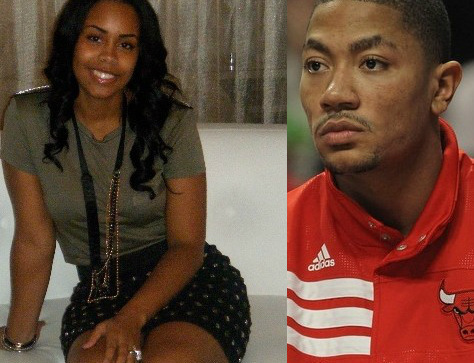 Chicago Bulls MVP guard Derrick Rose has a kid on the way. Rose’s longtime girlfriend Mieka is 7 1/2 months pregnant. We were scooped when Mieka’s younger sister broke the news on Twitter yesterday — She tweeted out how she enjoys “rubbing her sisters [pregnant] belly” Maybe Rose hasn’t been playing because he’s preparing for fatherhood? Congrats to the reigning NBA MVP. Congrats to the couple. Derrick is rather quiet and reserved off of the floor so let's hope that he and Meika keep everything cool.